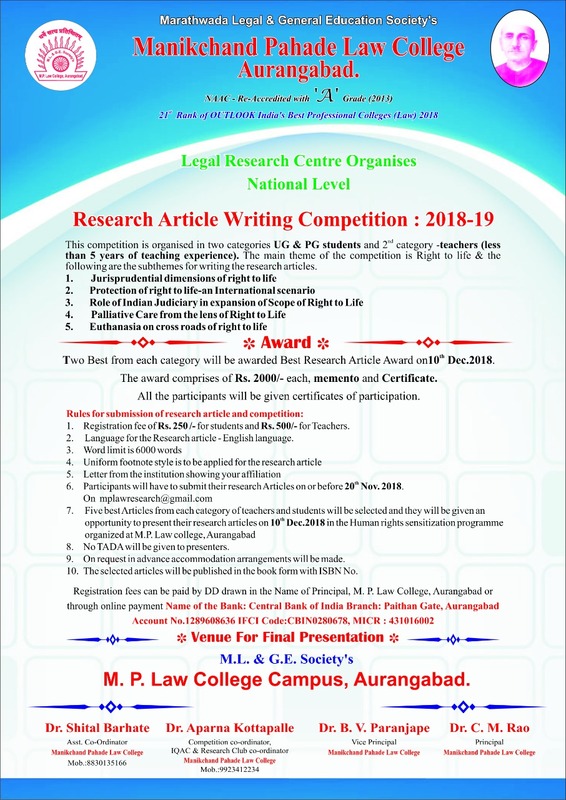 Its object is to acquaint with the alternative dispute mechanisms such as "Lok-Adalat, Conciliation, Arbitration and awarness about these programs among the public through Legal-Aid awarness Camps, Legal literacy programs and Street Plays. The college has free legal aid and awareness center recognized by Maharashtra state legal services authority and NALSA, New Delhi. Since 2007 till 2014 the institution has conducted legal aid camps with the financial assistence from NALSA. 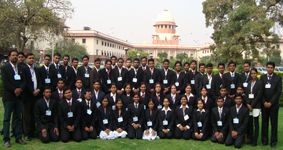 College conducts legal aid and awarness camps every year with active participation of students and faculty.